Today is Wednesday, December 16, and you have made it half-way through our month of kindness. Today is laundry day! Can you help your mommy with the laundry? 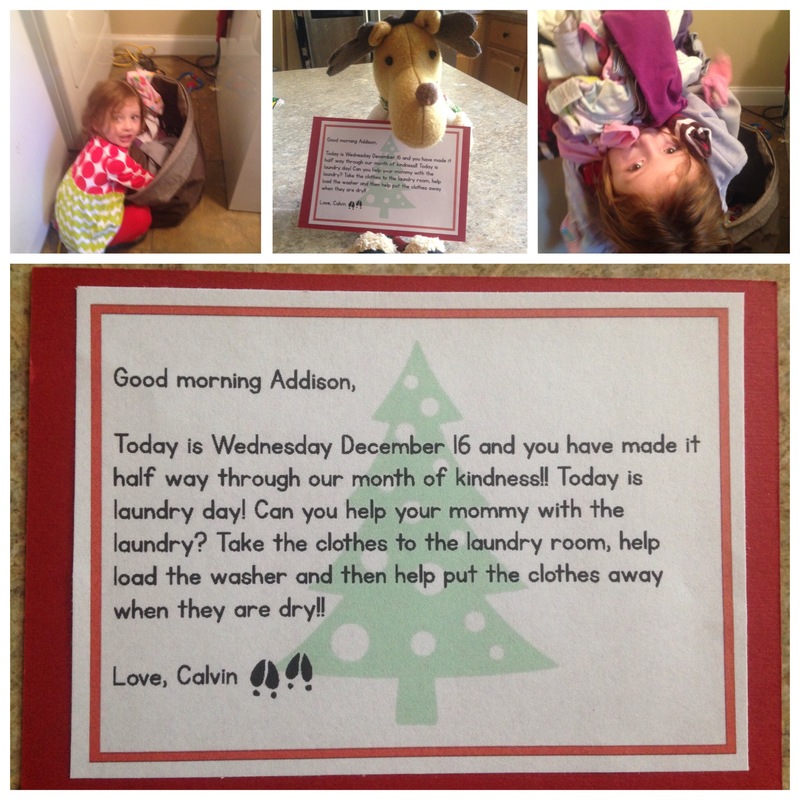 Take the clothes to the laundry room, help load the washer, and then help put the clothes away when they are dry! Addison thought it was fun to help during the first load…but the second and third loads she thought it was awful! But she was a trooper and helped me finish all of the loads.